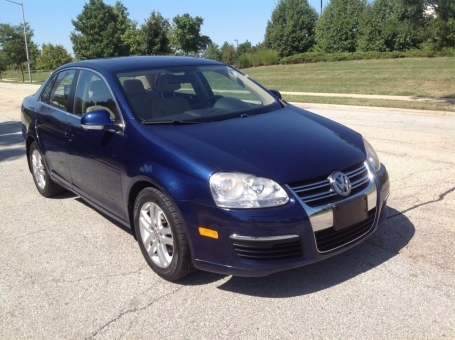 This 2007 Volkswagon Jetta 2.5 is a small sedan with a fuel efficient 2.5 liter 5 cylinder engine, sharp interior design, and plenty of outstanding safety and luxury features. This edition is very clean, sharp, and in good working order. The Jetta will provide a smooth, quiet ride. The interior is very sharp with beige leather seats, black and beige dash, and metallic trim. The Jetta has outstanding build and material quality. Options include a sunroof, power windows, mirrors, locks, alloy wheels, newer Goodyear Assurance tires, dual climate control, heated seats and mirrors, dual,exhaust, AM-FM stereo with satellite radio and CD player. There is plenty to enjoy in this sharp 2007 Volkswagon Jetta 2.5, reasonable miles, sunroof, leather seats, newer tires, sharp interior, and best of all an amazing price!! Das Auto! !